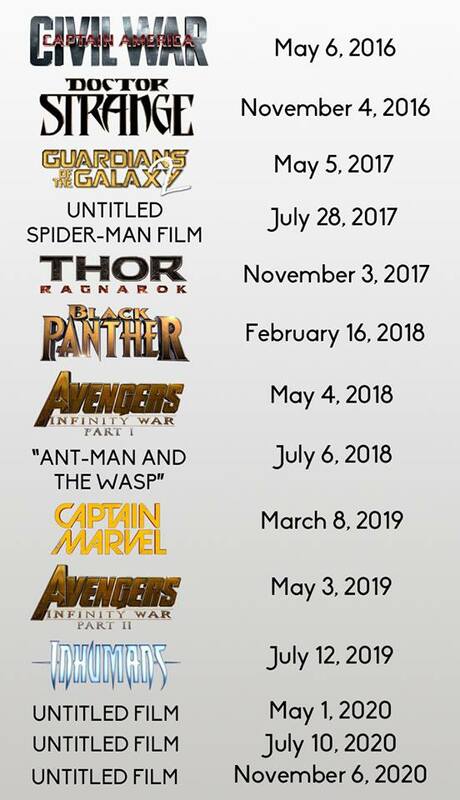 Marvel Studios announced some changes to their Marvel Cinematic Universe film release schedule. 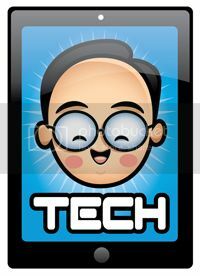 Oh note is the addition of the Ant-Man sequel. Titled Ant-Man and The Wasp, this sequel to Ant-Man opens on July 6, 2018. 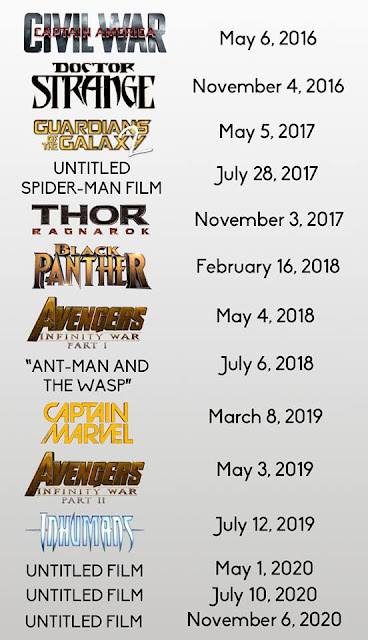 To make room for the Ant-Man sequel, Black Panther was moved up to February 16, 2018 and Captain Marvel was moved back to March 8, 2019.